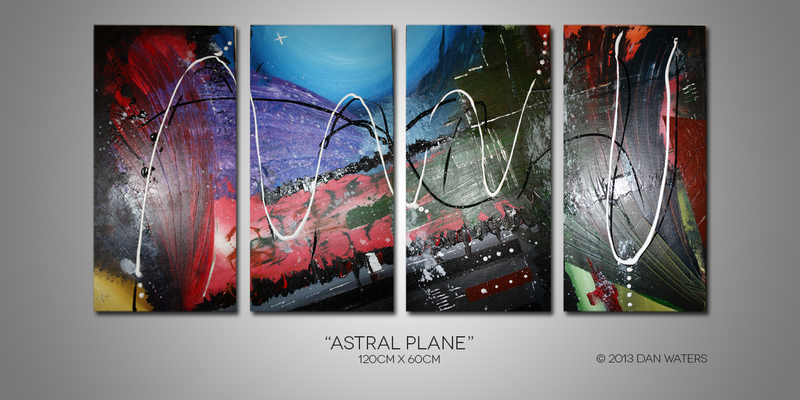 Astral Plane was my first abstract piece. The goal of this one was to create some straight lines that were off kilter with the canvas, creating an interesting effect. Some people say they can see music come through in this one. That’s been brought up again, in more recent paintings.